We didn't have a party. We didn't host an event. I had a dose of inspiration and needed to see it come to life. Yep.. the things I do for fun. Tons of balloons on the floor = my favorite go-to for party decor. Olivia loves it! She enjoys running through it.. throwing it.. "swimming" in it. Balloons are always a hit. A balloon air pump has been one of my smartest buys ever. Beautiful desserts from The Little Sugars. I adore Olivia's dress. It was love at first sight. Perfect for Easter and for spring/summer. Find it here, here, or here. Bunny ears are from Target's dollar section. 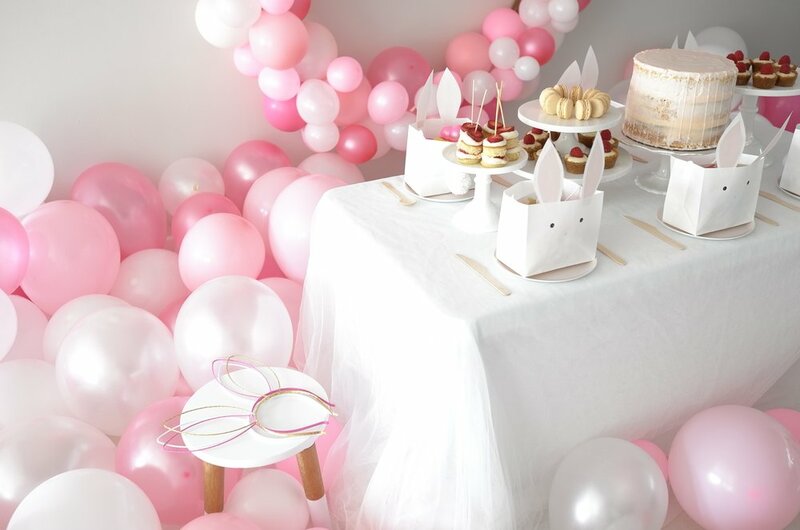 Main thing swirling in my head: bunny balloon arch thing. With some pointers from The House that Lars Built, I cut up an Amazon box and got to work. 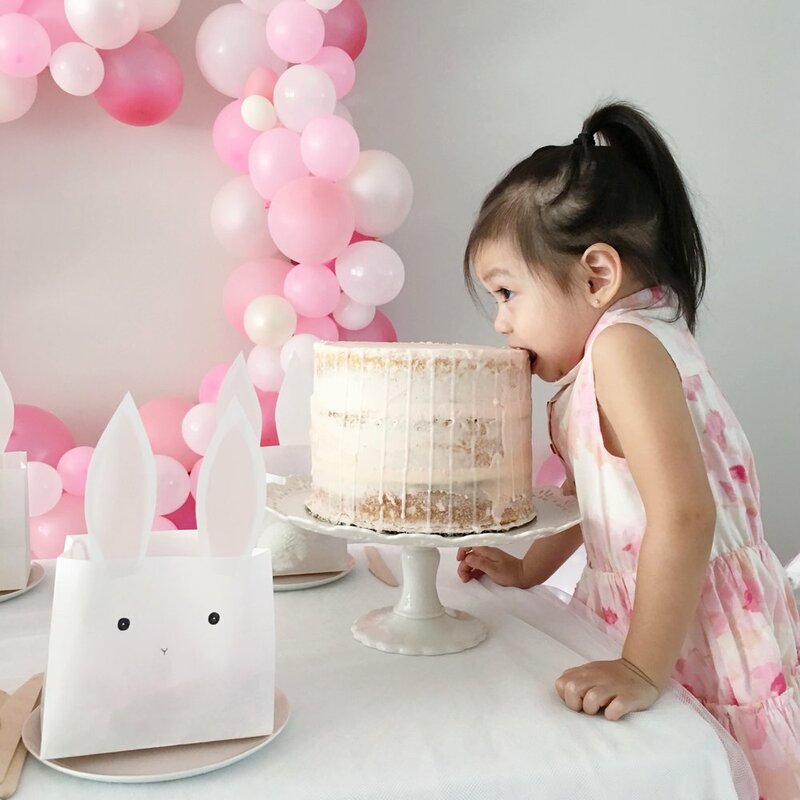 I taped the bunny frame to the wall using Frog Tape and used all kinds of sticky goods to get the balloons to stay on (double-sided adhesive, zots, photo squares, and scotch tape). 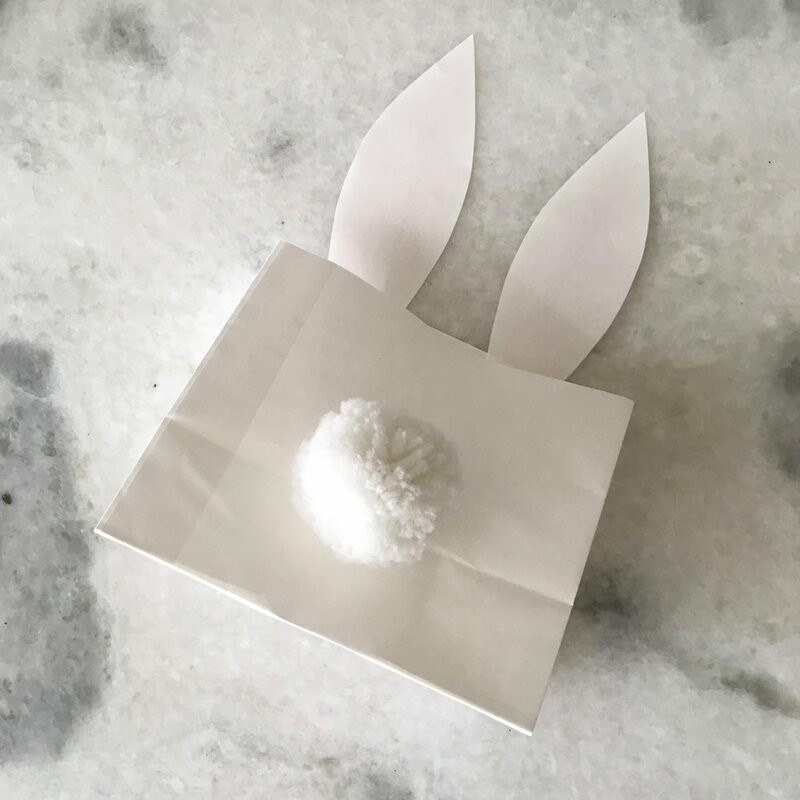 Last year's bunny favor bags were so cute that I wanted to try a different variation. Use the top portion of the sack to cut out bunny ears. 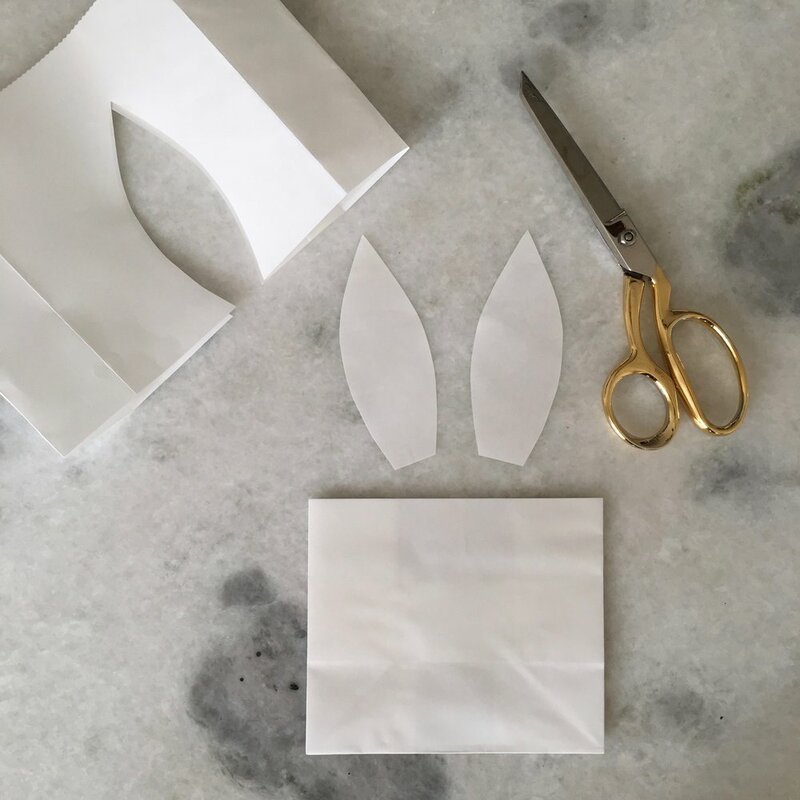 Use those ears to cut out bunny ears with the vellum, but trim the vellum ears about 0.5 cm all around. 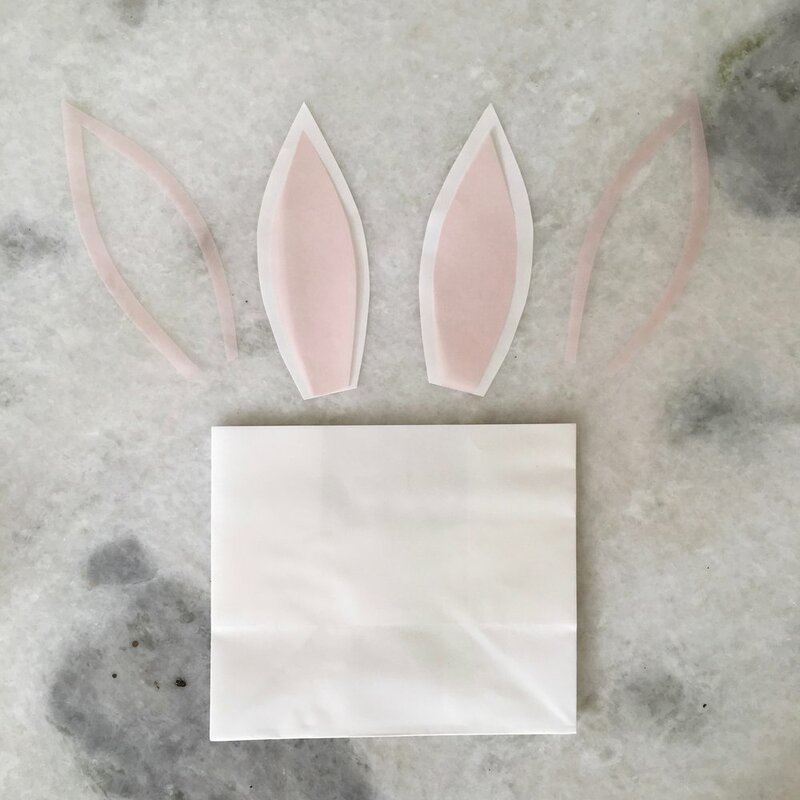 With clear runner's tape, stick the vellum onto the bunny ears. Attach the ears onto the sack. Draw the bunny face on. On the back of the sack, attach the fluffy bunny tail. 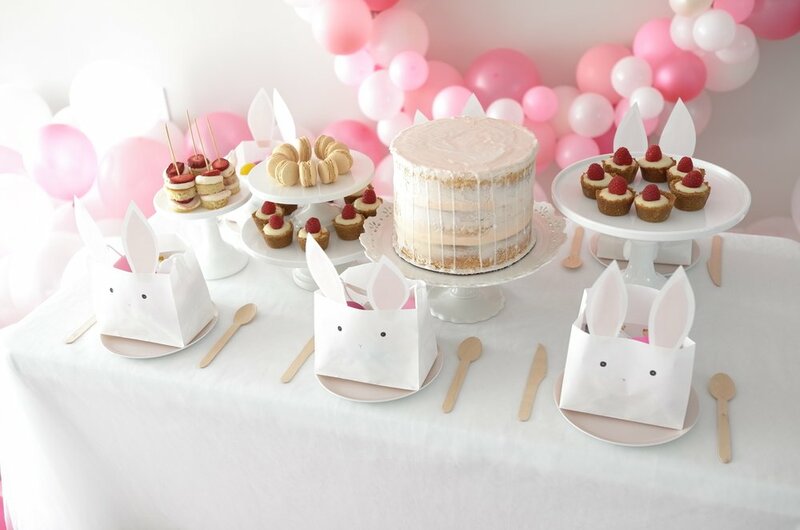 I used bunny pom pom stickers from Target's dollar section. Cut white rope to about 13 inches. For a clean look, cut out a small square of scrap paper and line one side with adhesive. Stick each end of the rope onto the squares and place a zots on the opposite side; attach to the inner sides of the open sack.